You have been at your job, industry, or in your specific role for a long time. This can make your tasks become monotonous and easy, and make you feel less challenged or inspired. You are regularly asked to take on tasks that you don’t enjoy and are tired of it. This could be anything from creating spreadsheets to assisting with company events. Your workload has increased. You do certain things well and are assigned more of those tasks, even if you don’t want them. And you start to feel resentful. You have had major life changes. Perhaps your family has grown, and your values have changed. You are bored, not challenged at work. Your coworkers think you have it easy, affecting your work relationships. Write down why you feel burned out, and what the results are. Once you have identified how you feel and the negative consequences of your feelings, what can you do about it? Consider the following tips. Take a step back. First of all, it is essential to make a personal assessment. Ask yourself why you started in your field in the beginning, what attracted you to your industry or position. Once you have rediscovered your passion, analyze what has changed that is causing negative feelings. It could be that you want different things out of life or your values have changed in your personal life. For example, one of our clients needed to place his father into a retirement home. He had so much trouble finding an acceptable one for him that he decided he wanted to have an impact in that space instead of IT where he worked. It could also be that you are feeling overworked in certain areas of your job. Perhaps there are certain tasks that you used to love, but now you do them too often and they have taken over your job. Fulfillment. This is the meaning or reward you get from your job- your values or sense of accomplishment. This is the most important building block to a successful career. Do you still have that meaning? Enjoyment. This is the extra stuff that you like to do and get to do sometimes, but it’s not the main part of your role. It’s like the icing on the cake- things like traveling as part of your job or mentoring others. Do you have enough of these things? Strengths. These are your talents and skills. Are you using the strengths you want to use? Do you need to use other strengths to mix it up more? Experience. Looking at past experiences that you have enjoyed can give you clues to what you might need to change now. Education. Do you need to take a class to challenge yourself again or make yourself more marketable? Are you leveraging the education that you want to? Personality and Environment. Being authentic is critical to happiness and avoiding stagnation at work. Are you able to be yourself at your job? Are you in the right work environment, or is that what’s making you stagnant? Perhaps there isn’t enough career progression, or you aren’t able to increase your skills. Compensation. Has this stagnated for you? Are you you so good at your job they think it’s easy and don’t promote you or give you enough of a raise? Reduce the time you spend on certain tasks. Change to working on a different team. Track your hours to correct the perception that you have it easy. Take a Strengthfinders assessment to demonstrate what you can bring to the table. If you need help going over the Ideal Career Model, purchase a copy of our Identify Your Ideal Career Workbook today or schedule a complimentary consultation with our team of coaches. We would be glad to help you get your career on track. 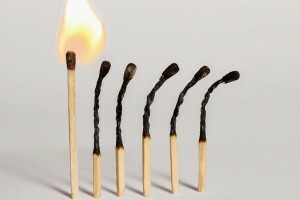 The post 3 Things to Do if You’re Feeling Burned Out at Work appeared first on Hallie Crawford.